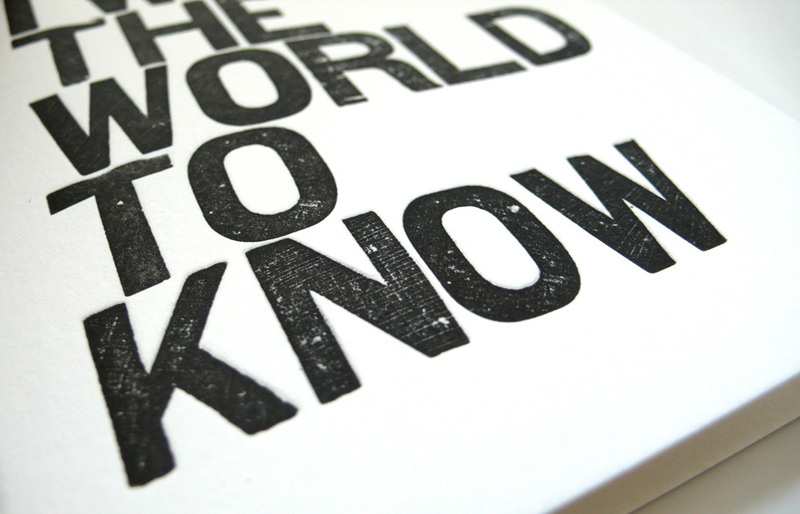 Letterpress Wood Type Greeting Card: I Want The World To Know — Customize your own message inside! 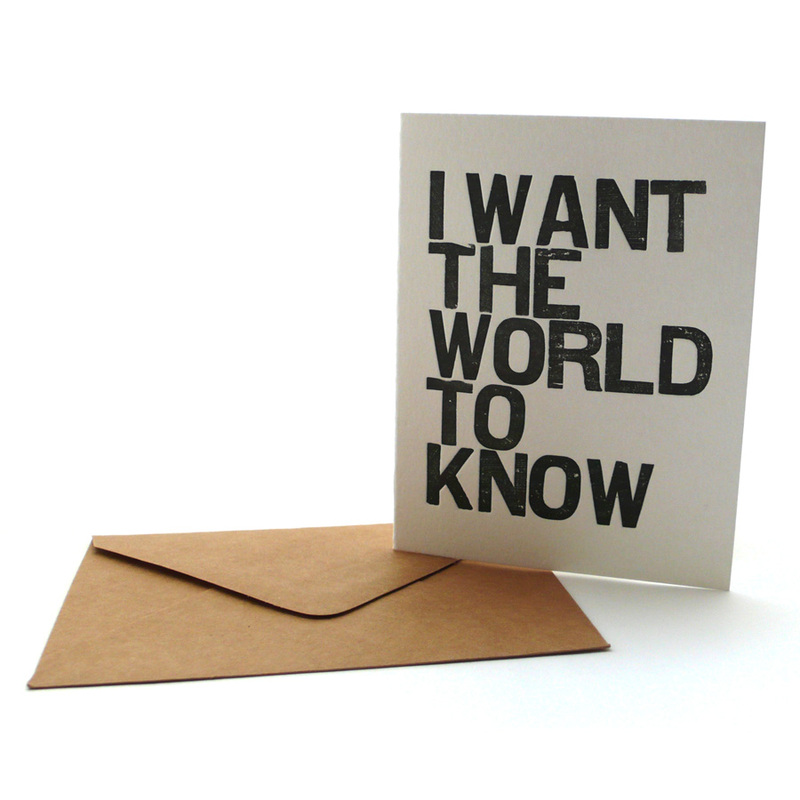 Printed on 100% cotton Lettra pearl white paper with soy-based ink, the card is Folded, A2 size (measures 4 1/4 x 5 1/2 inches), blank inside, comes with recycled kraft envelope in A2 size (4 3/8 x 5 3/4 inches). Comes in a clear bag. 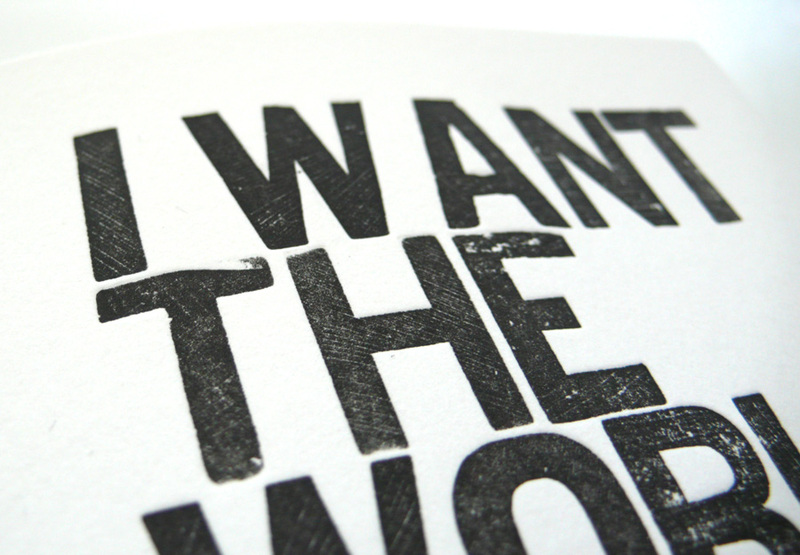 Letterpress-printed with vintage wood type blocks. 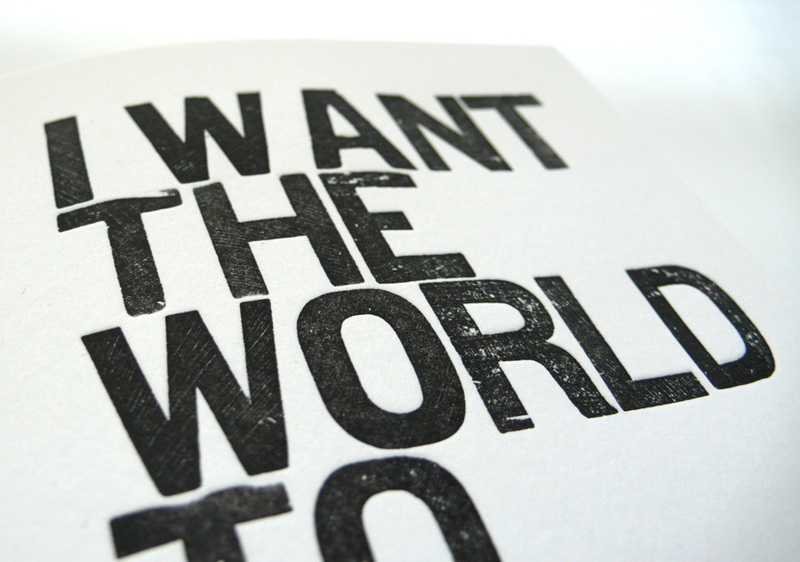 Great texture to enjoy!